The Akrapovic slip-on open exhaust system for the new Ducati 1098 / 1098S / 1098R / 1198 / 1198S is an invincible combination of performance and price. 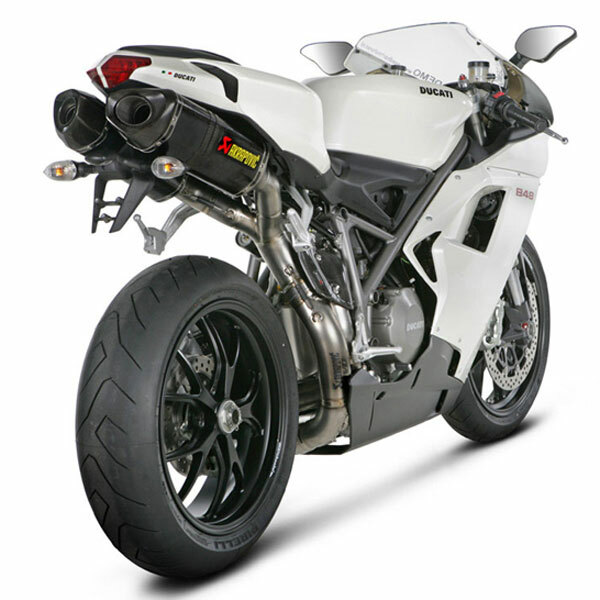 In addition to performance, the twin titanium or carbon fiber mufflers add a clean racing look. And the Ducati will put out a much more powerful racing sound. 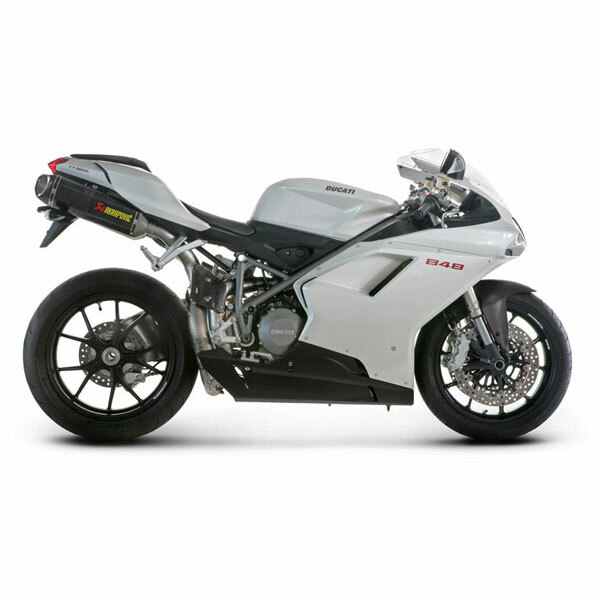 You will also save 2.7 kg compared to the stock Ducati exhaust system. The system is for race and track days only and will help you shave your lap times. Therefore it is not homologated for road use. 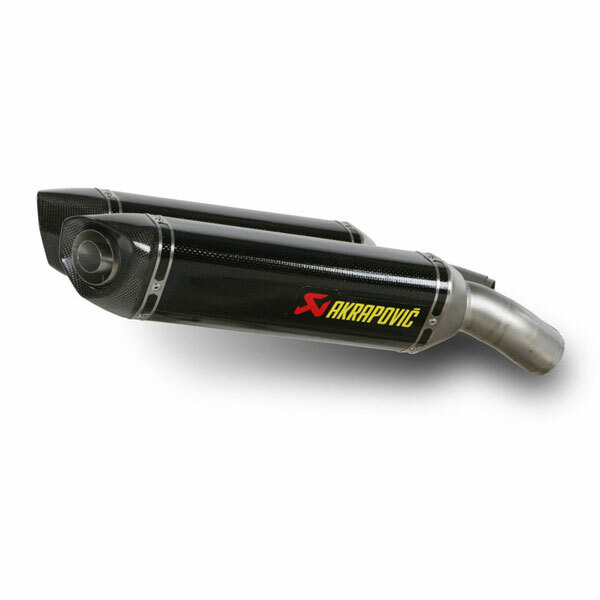 The Akrapovic slip-on open system for the Ducati 1098 / 1098S / 1098R / 1198 / 1198S has a specific 2- 2 configuration. The titanium link pipes are welded to the muffler. The header tubes and link pipes are attached with a sleeve joint, secured with a silicon-shielded spring. The muffler is available with a titanium or carbon fiber outer sleeve. The metal interior parts of both mufflers are made entirely of titanium. The outlet cap is made from carbon fiber in both cases. The mufflers are attached to the motorcycle with pair of carbon fiber clamps.